Celebrating Doosan’s Day of Community Service! On Monday 23 March Doosan employees across the UK joined with their colleagues around Europe and the world in the Doosan Day of Community Service. This is the second time the event has taken place, with 10,000 employees across 16 countries undertaking activities in their local communities such as supporting environmental projects and helping the disadvantaged. Doosan Babcock in Scotland has also formed a partnership with Renfrewshire Food Bank, providing a new permanent headquarters for the organisation free of charge in a warehouse on their premises. This will improve working and storage conditions, and Doosan Babcock staff will be encouraged to volunteer to help the service expand. 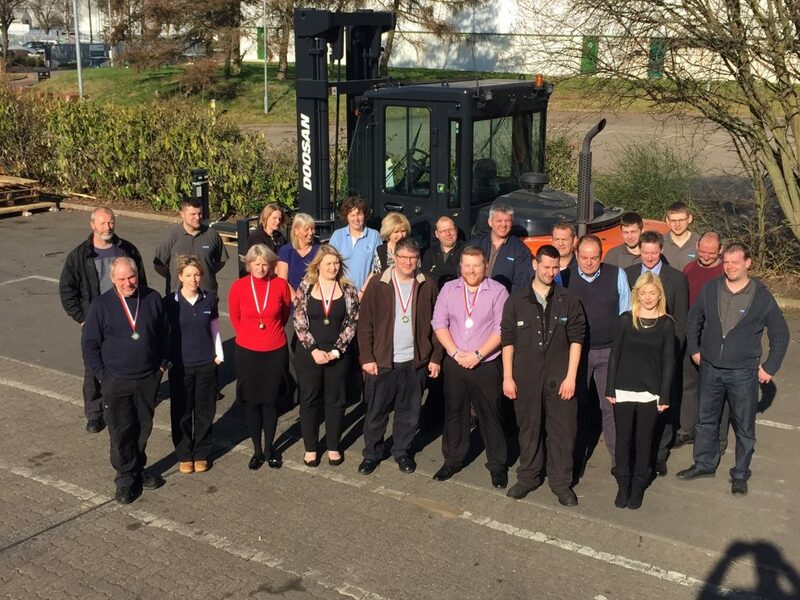 Simon Hopkins, Director, Corporate Social Responsibility (CSR) for Doosan Babcock said: “It has been a great experience to be involved in these activities and I am so proud of how my colleagues across the business have embraced this opportunity.